Unicorns are the hottest craze right now. From unicorn bath bombs to unicorn dyed hair, we just can’t get enough. 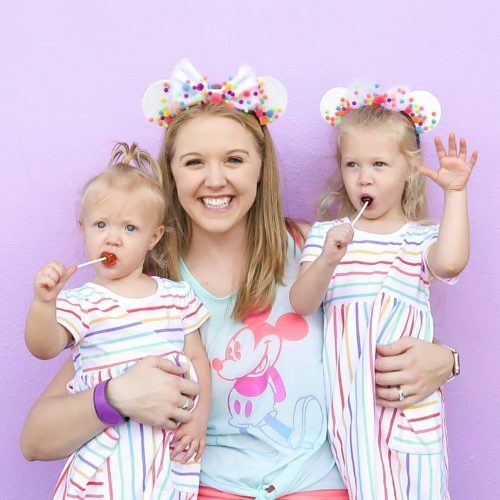 I was so excited because one of our party clients requested a Unicorn themed party for her daughter’s 5th birthday (see more of our parties here). 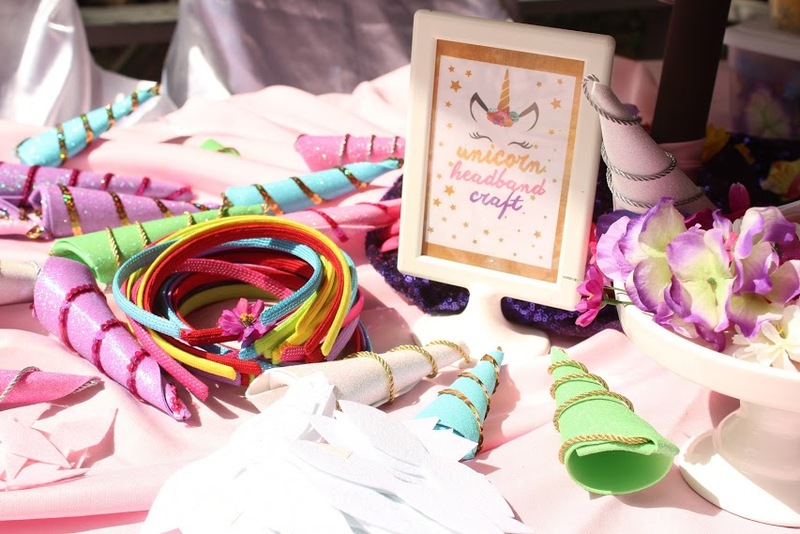 Here are a few fun Unicorn birthday party ideas to help make your party a success! 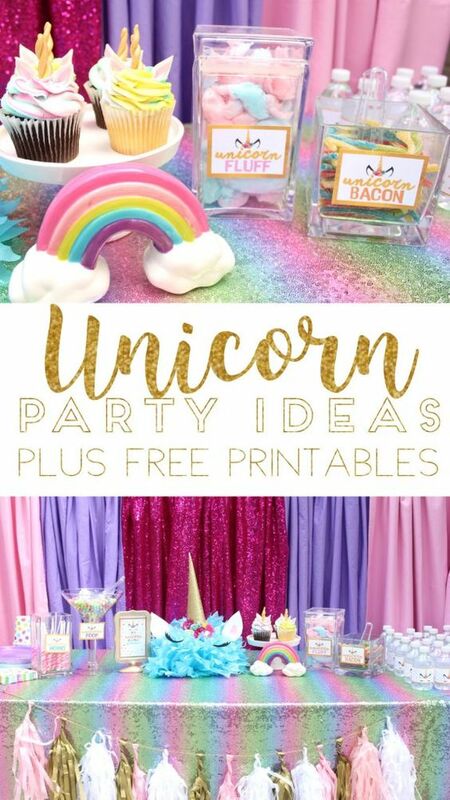 For a successful unicorn birthday party, you’ll need bright rainbow colors! I love the look of the pastel colors more so than the true rainbow hues. 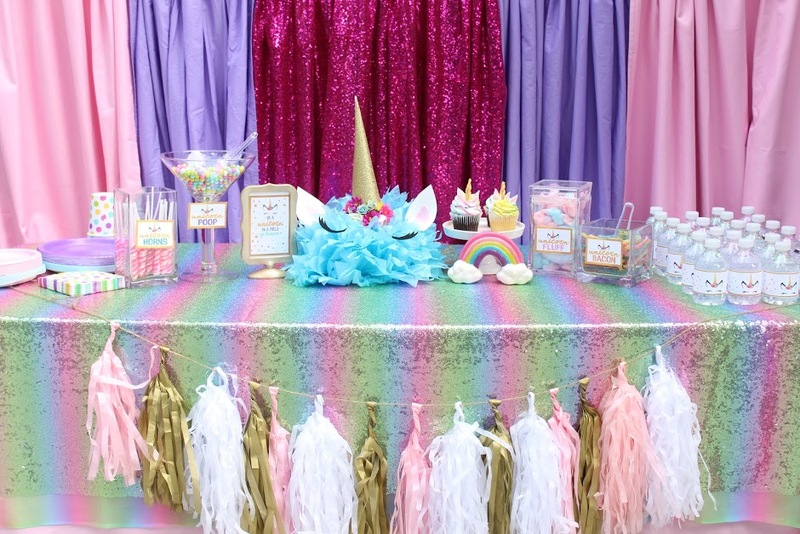 To get this look, we used colorful curtain panels, a Hot Pink Sequin Curtain, a Rainbow Sequin Tablecloth and some fun Tissue Paper Tassels. I found the ceramic rainbow in the Dollar Spot at Target. 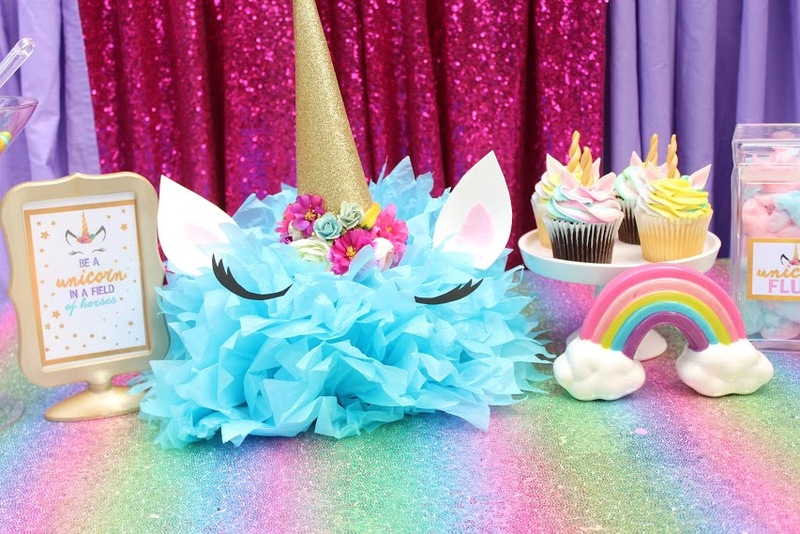 The centerpiece was made using a tissue pom pom, a horn made from gold glitter paper, faux flowers and two eyes cut from black card stock. 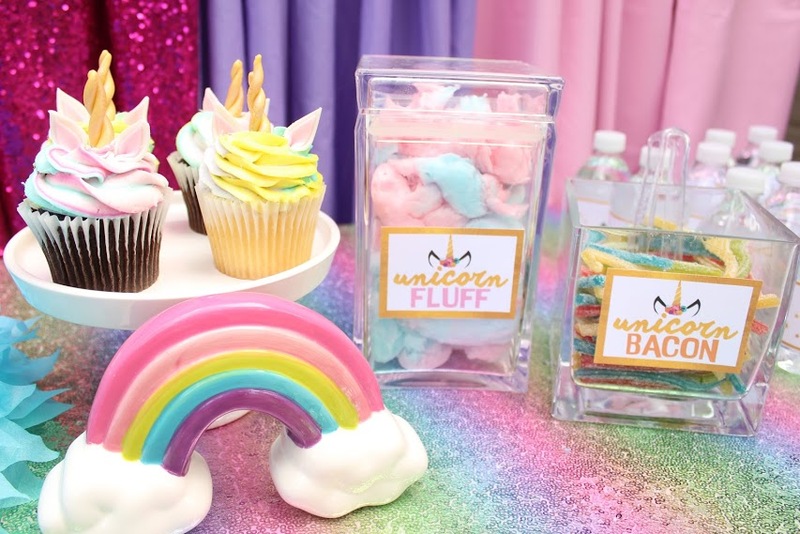 This fun treats table included Unicorn Poop (sixlets), Unicorn Horns (swirled lollipops), Unicorn Fluff (cotton candy), Unicorn Bacon (sour patch strips) and of course cupcakes. 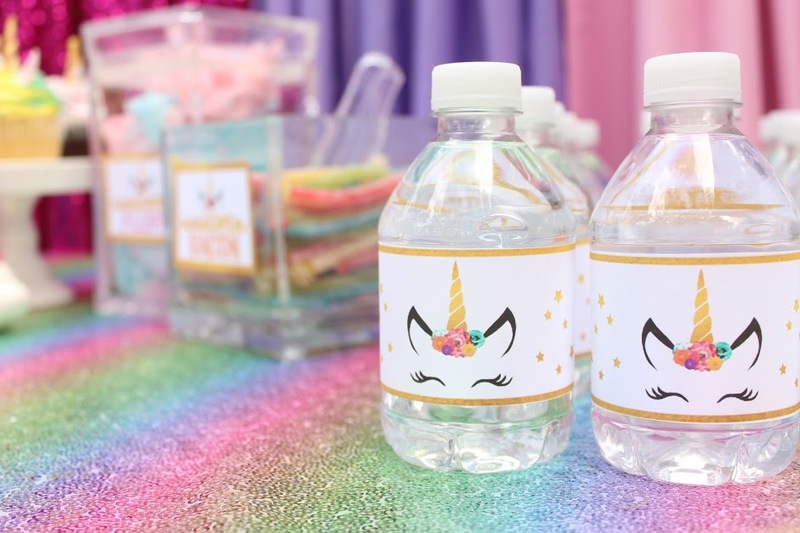 There was also Unicorn Punch for guests to enjoy (I love this recipe) and water bottles with custom Unicorn labels. Get the food card printables, water bottle labels, and 5×7 ‘Be a Unicorn in a Field or Horses’ image below. 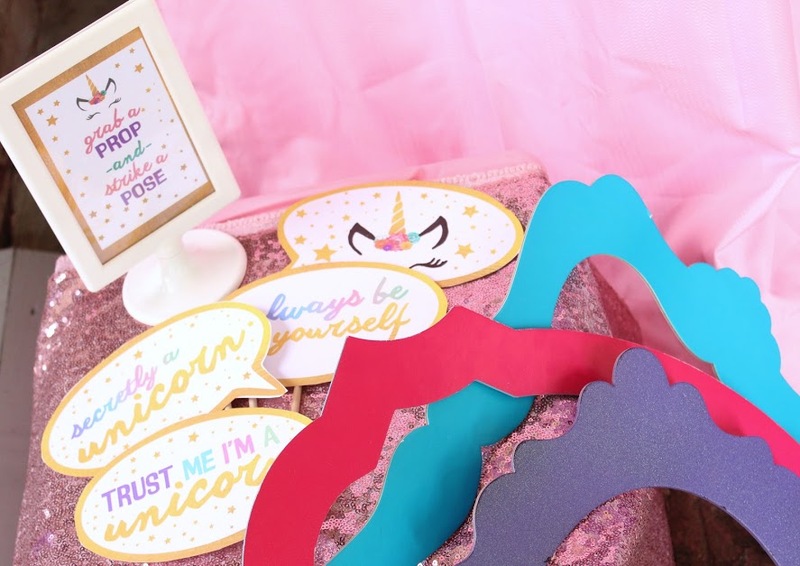 These fun photo booth props are available in the full printable package in my Etsy shop. A photo area with a few fun props is a great way to entertain guests! 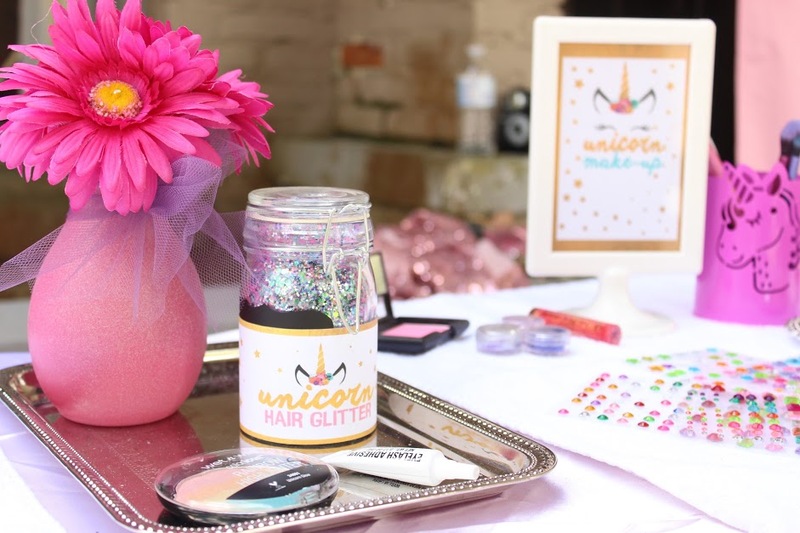 Some other magical unicorn ideas include face paint, glitter tattoos, unicorn hair with a glitter part, sparkly makeup, mini manicures, pin the horn on the unicorn and unicorn horn ring toss. 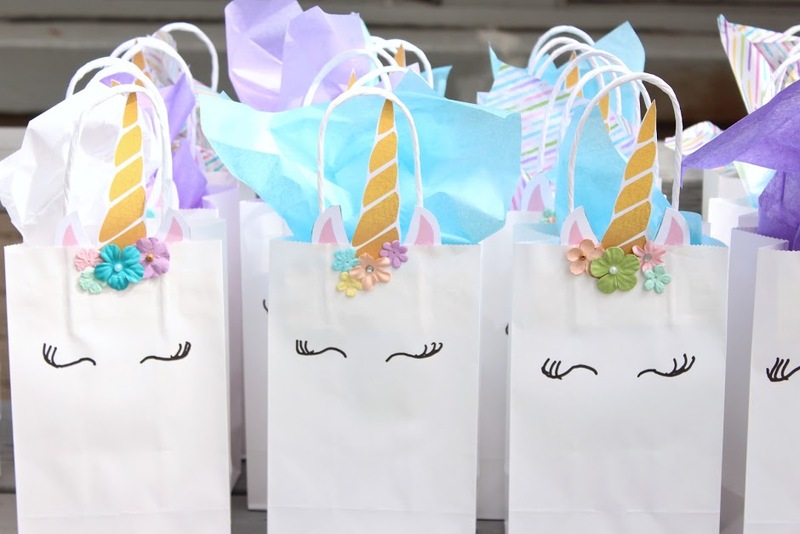 Favor bags can be a fun way to give your guests a special ‘thank you’ for coming to the party. TIP: For added value include a sweet Thank You card inside the bag to save the hassle of having to write Thank You cards after the party. These white favor bags have my printable horn, flower and ear sets (included in my Etsy shop listing) to make cute and easy take home favors for your guests. You can add extra paper flowers for a fun, upgraded look! 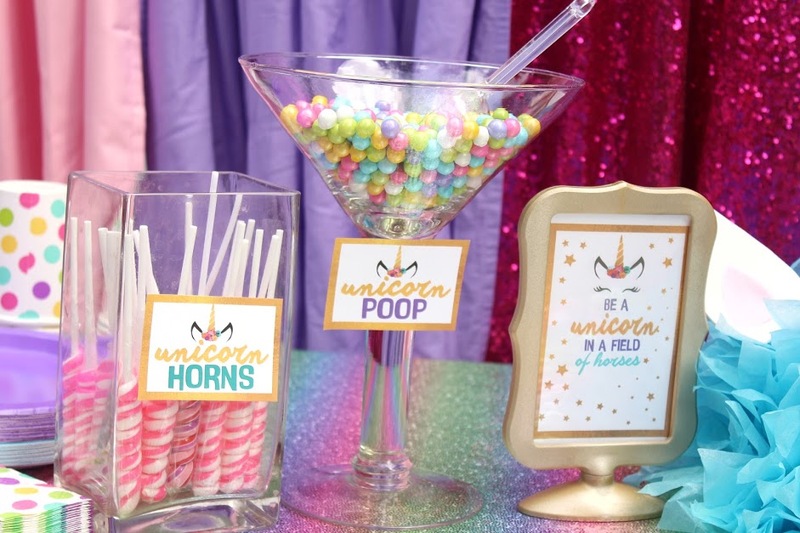 Don’t forget your Free Unicorn Party Printables (water bottle label, pre-filled treat cards and 5×7 Unicorn in a field of Horses sign). Answer the questions and you’ll be granted access. Click on “files” to see all free printables. If you DO NOT have a Facebook, you can subscribe to my mailing list below. Once you have submitted your info, you will receive an EMAIL to confirm your SUBSCRIPTION. After confirming your email you will receive a link to download the files. If you do NOT receive an email in your inbox, PLEASE CHECK YOUR SPAM! I ordered the 2m length for $32.99 ? Was not able to find you in the Esty Shops, need the unicorn set. Hi, what size of table did you use for the 2m sequin? Hi! I believe it was an 8 ft table.